Valentine’s Day chalkboard messages are the best way to let someone you love know how you feel about them. You might think they already know, but these ideas will take all of the guesswork away. Our favorite part about Valentine’s day is all the corny saying on cards. They are so cute, fun and sweet. We also love this holiday because people focus more on others than themselves. It is good medicine for the soul when your spending time coming up with ideas to tell everyone how you love them. 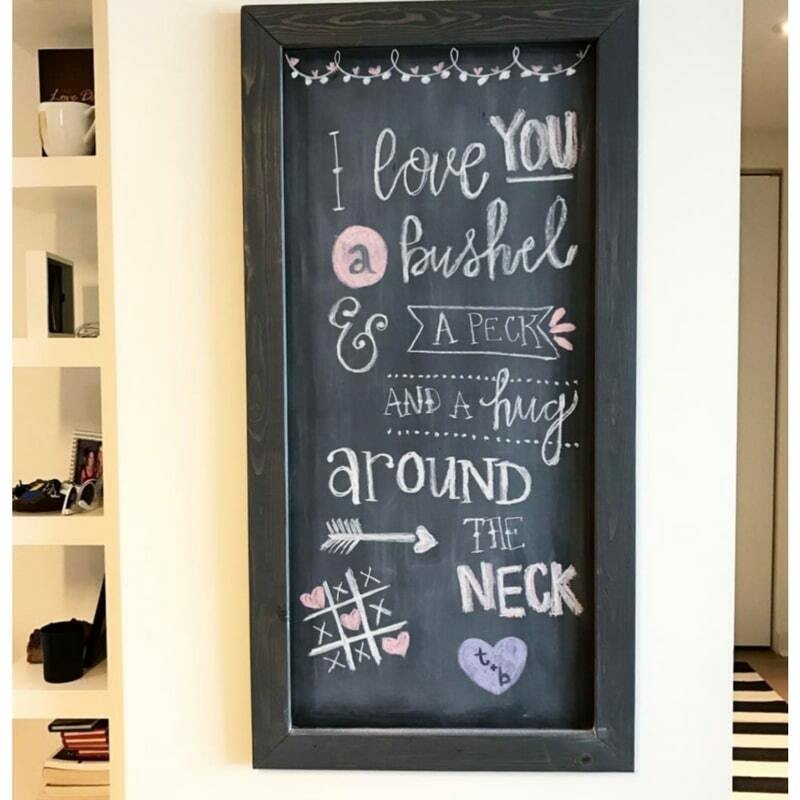 And what better way than through one of these Valentine’s Day chalkboard messages. 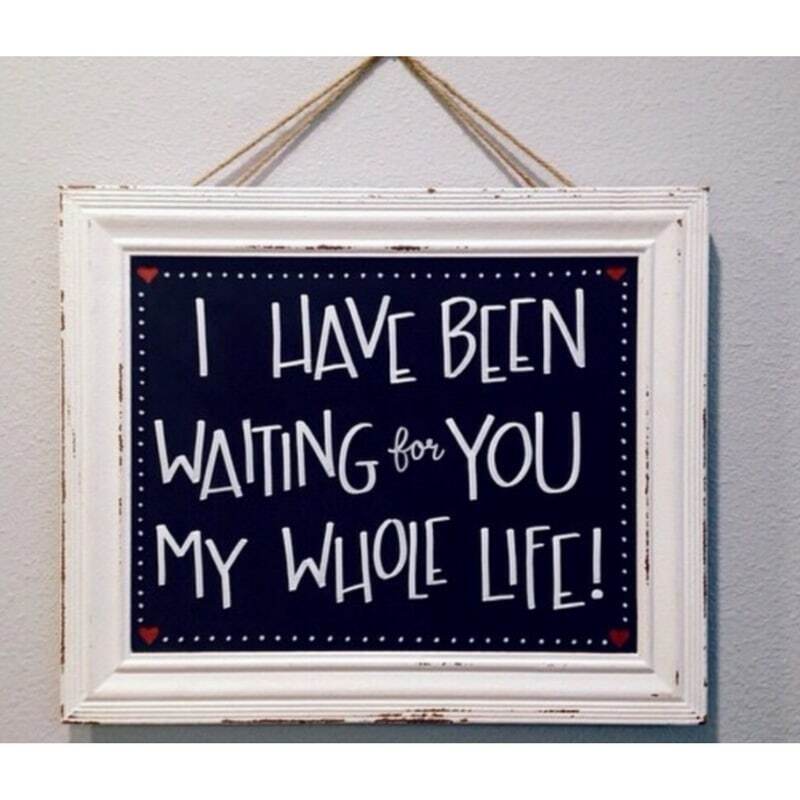 Are you ready for a history lesson tied to this Valentine’s Day chalkboard quote? Frank Loesser wrote these words in a love song back in 1950 and it was made popular in the Broadway musical Guys & Dolls. But what is a bushel and what is a peck? Pecks and bushels are standard forms of dry measurements. A peck is about two gallons. A bushel is four pecks. So, needless to say, this quote means you love someone a hole lot! Keep heaping on the love and chalkboard messages please. Isn’t it fun that no matter how many times you see a quote used, each one portrays an individual message to it’s recipient. A chalkboard is a blank canvas. One that can stay classy with a black & white look or you can add pops of colors to attract a little more attention. 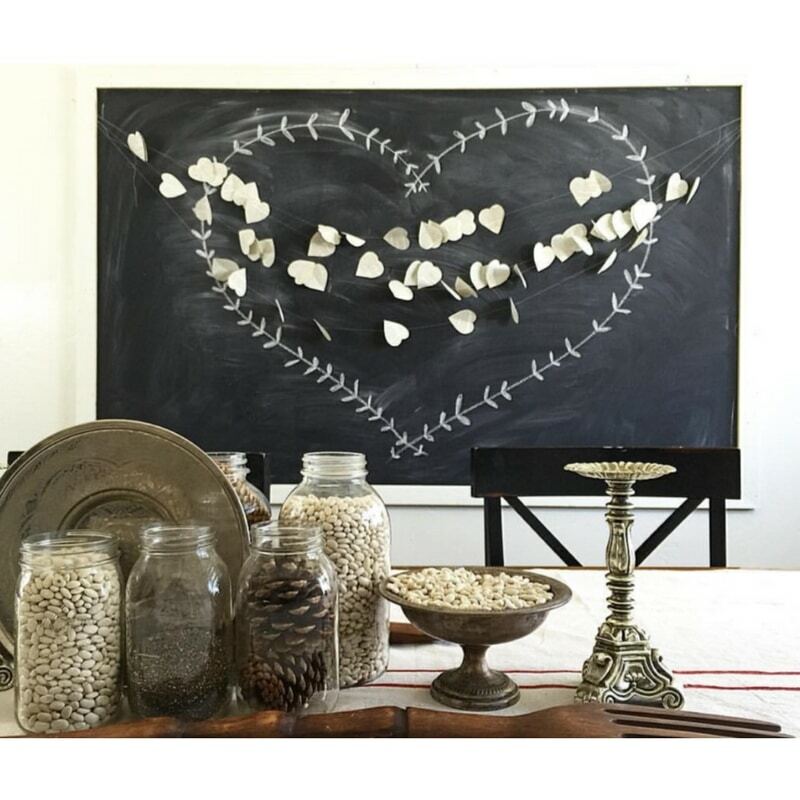 Sara adds a delicate vine heart and fluttery heart garland to her chalkboard. So that all that view it will feel the warmth of the holiday. Sometimes there’s no need for words. She’s also sweet enough to offer a tutorial on how to make this garland if you’d like to add it to your Valentine’s Day decor over on her blog. We also offered banner ideas on a recent post if you’re not feeling so artsy. 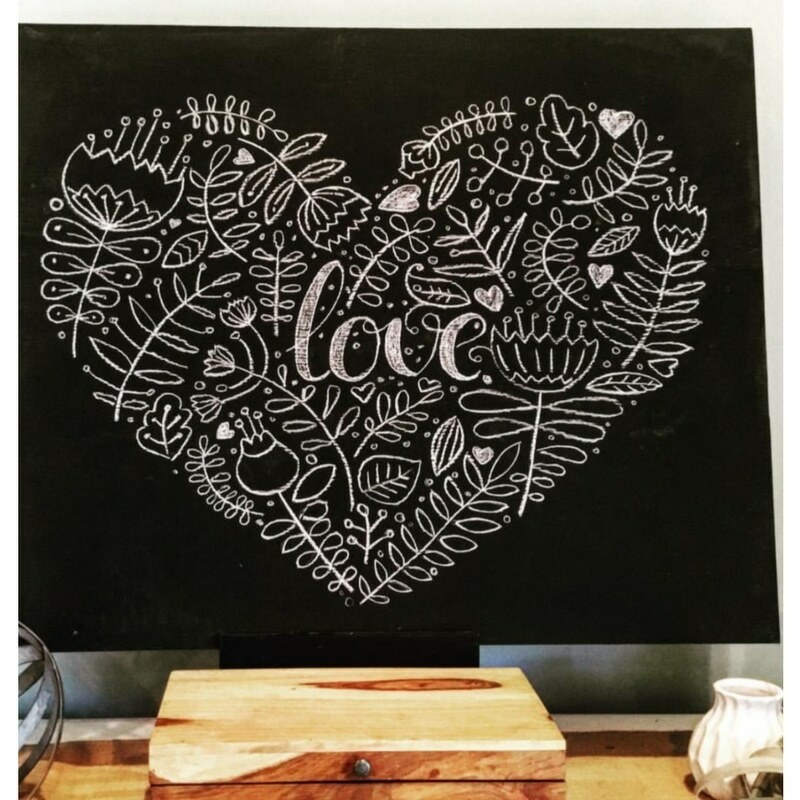 Kate was asked by a photographer friend to design this precious chalkboard. The photographer’s plan was to take a photo of kids holding it and then years from now the parents can give it to their future spouse. Is that not the sweetest thing you’ve ever heard? Wouldn’t you love to have a picture of your spouse as a child holding a sweet message like this? This intricate drawing might have been inspired from a Valentine graphic, but we think that Tara & Lillie did a beautiful job illustrating it for all those they love to look upon. 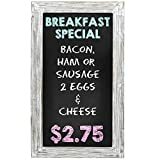 One thing we love most about incooperating a chalkboard into your home decor, is the simplicity of adding a new look from season to season or holiday to holiday by erasing and drawing. Looking to scripture for verses about love is genius. 1 John 4:19 is a great message for your Valentine. How else could we know love, if we hadn’t been loved first. We love how Becky gives an ombre look to her lettering in this message. Hannah worked her magic on our chalkboard and Savanna posed for a picture with Stinkerbell so we could share the beauty with all of you. 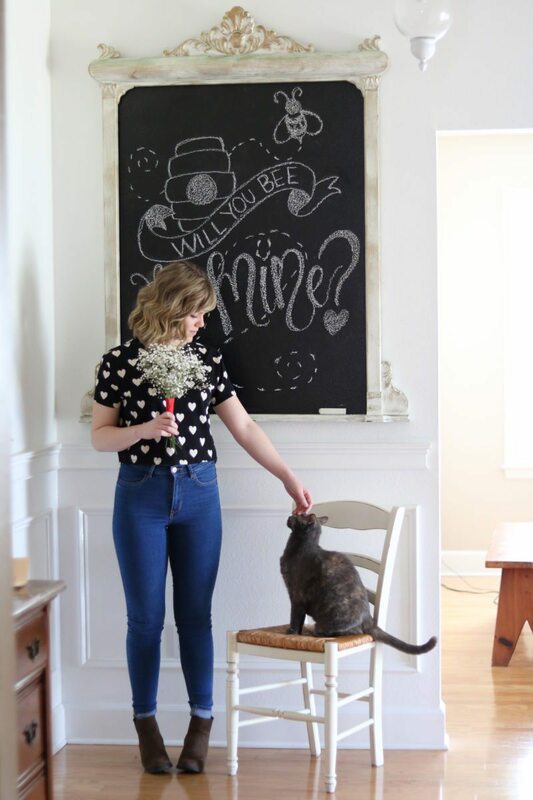 We’d love to hear your sweet Valentine’s Day chalkboard messages! Do tell! That last pic is a REAL KEEPER!! Thought you might like this pic! Oh, wow. Love these. What a beautiful site! Love these! 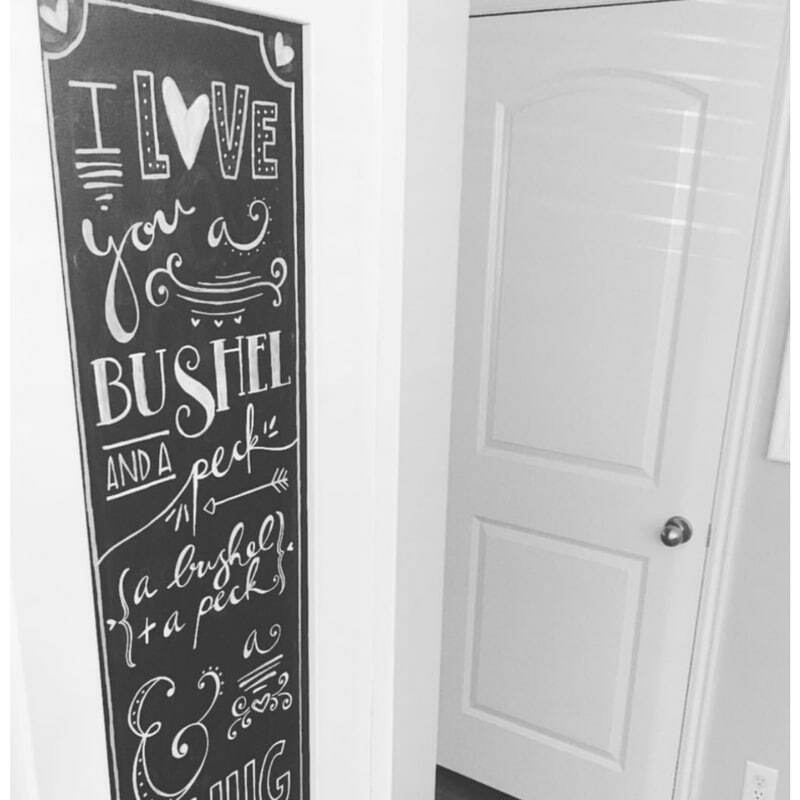 Mine would never look as neat but I would love to incorporate a chalkboard somehow in my home! Thanks for the inspiration! 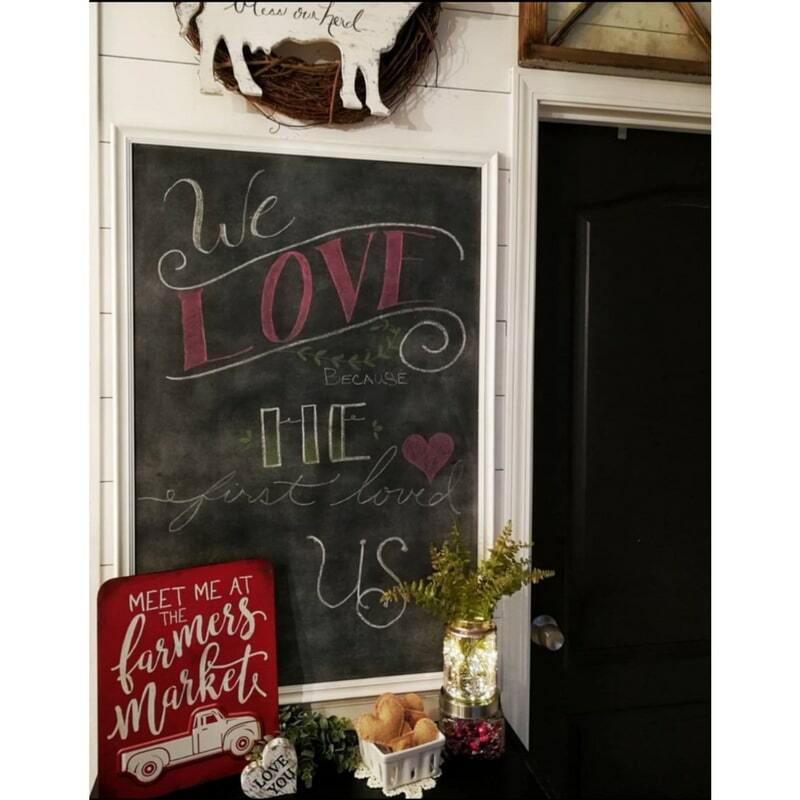 You will love having a chalkboard in your home. We have really enjoyed it very much! The part I love the most is the changes we make to it during holidays and seasons. Thank you for your kind words! 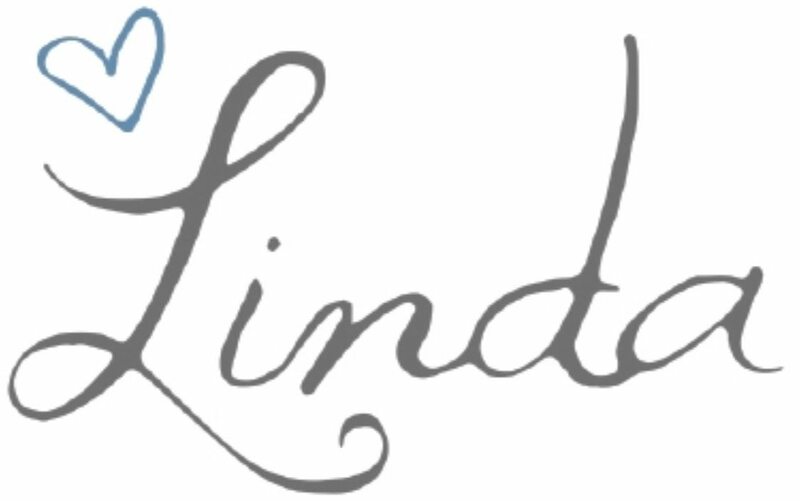 I am so glad you enjoyed visiting my blog! Hope you come back soon! Love your pic! and the kitty.. Thank you! She is a sweet kitty! 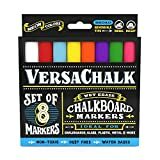 Where do you get the chalk from & what brand do you buy? I ask because I had bought some chalk in a box like crayons come in. Just regular white chalk, it was Micheals or Hobby Lobby & it did not write well at all.